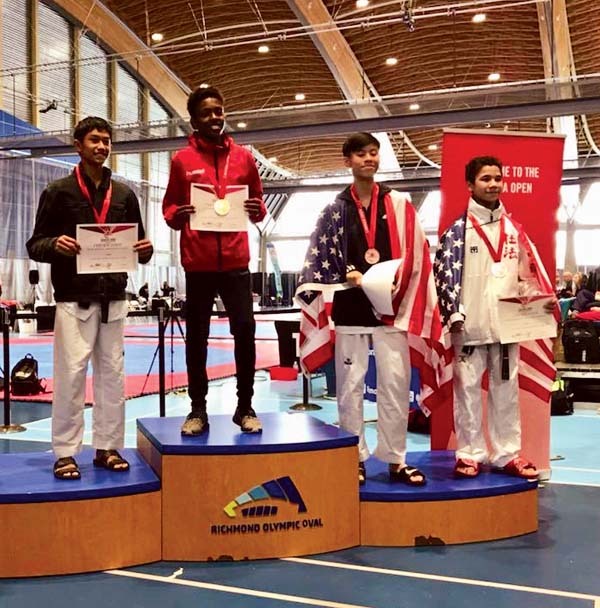 Kiffmann Taekwondo’s Jerico San Agustin won the silver medal in the black belt junior 45-kilogram weight division at the Canada Open, held last weekend in Richmond, B.C. San Agustin defeated Washington’s Shon Bryan by point gap in the quarterfinals and beat his semifinal opponent (name not available) before falling to cadet world champion Omar Salim of California in the final. Miles Kiffmann, who also coached San Agustin, made the quarterfinals of the senior featherweight (68 kg) division. Kiffmann defeated Canada’s Bachir Benaouda before losing to eventual champion Perez Yosvel of Colorado.